Kelly had made some good remarks about civility in government early on; but Trump brings out the worst in people, not the best, and that is what appears to have happened with Mr. Kelly.
" Those Old Racist and Misogynist Empty Barrel Blues "
how was kelly supposed to know in lieu of any scuttlebutt or poop? John Kelly is unfit to serve as @whitehouse chief of staff. There can be no quarter for spousal abusers or their enablers and defenders. Mr Kelly should focus on trying to salvage what shreds of dignity he still has and resign, immediately. Kelly's recent Behavior has disappointed many who thought that he might become a humanizing influence on trump. The influence is the other way around. DUMP contaminates anyone in his orbit! Kelly said women are sacred and should be respected but then lied about the black Congresswoman and called her an "empty barrel" and never apologized when video proved him wrong.. He hates immigrants. He hasn't done anything to "rein in Trump" and was supposed to be the adult in the White House. He stood by his boy, wife beater Rob Porter until a photo surfaced. What a piece of work. These are not the 1950's, Kelly. I guess he fits right in with the Trump White House and its disdain for women, blacks, minorities and immigrants. the trump WH disdains no one but the days of the politically correct free pass are over. So, you have no problem with wife beaters working at the highest levels of government? What has this got to do with political correctness? This only shows the low moral character, something you supposedly care about, of these clowns. It's human decency not to beat up your spouse. Nice to know you're cool with guys running the government who assault their wives. What does this say about you? Kelly probably went to the FBI and asked what was holding up his boy Porter's security clearance and the FBI likely told him and likely showed him the photo and still Kelly did nothing. And that's a problem. Trump may not have known but Kelly had to and probably the White House lawyer as well. Porter, with no security clearance, saw the the top secret (and way above the "top secret" level) security briefings every day. That was a big part of his job. Do we really need a guy who obviously cannot control himself involved with all this stuff? Isn't having one guy like that already in the White House problematic enough? Good catch by @peterbakernyt and @maggieNYT: John Kelly "appeared as a character witness in a 2016 court-martial of a Marine colonel accused of sexually harassing two female subordinates. Mr. Kelly praised the colonel as a 'superb Marine officer.'" Kelly is just a misogynist bigot who has hidden behind four stars, but who can hide no more. There's a bad apple in every bunch. John Kelly was too lazy to get off his **** to find out about Porter. That's what can you expect from An Empty Barrel. What jobs should wife beaters be able to get? Note I'm not defending Kelly but I am interested in the larger social issue here related to domestic violence, especially when there has NOT been a conviction. E.g. other criminals, after 'paying for their crimes' can be hired for jobs. In addition, by law in CA an illegal immigrant wife beater, even one that has served jail time for their crime, will NOT be turned over to ICE for deportation. Appears to be inconsistent that a wife beater can't get a job but they also shouldn't be deported. I think the issue here is his security clearance and susceptibility to blackmail. So he certainly should not be in the WH and those idiots knew full well. I agree 100% but I'm still curious of people's POV as it relates to the larger issue at play related to domestic violence. E.g. related to 'his security clearance and susceptibility to blackmail': if Kelly had said, day one, 'we know he has had domestic violence issues in the past, but we are convinced these are behind him', should a person like that be given such a job? OR should they only get a government job that does NOT require a security clearance? OR should they never be allowed any government job? I do understand that this specific thread (a hate all things Trump thread) isn't the correct forum for my questions. 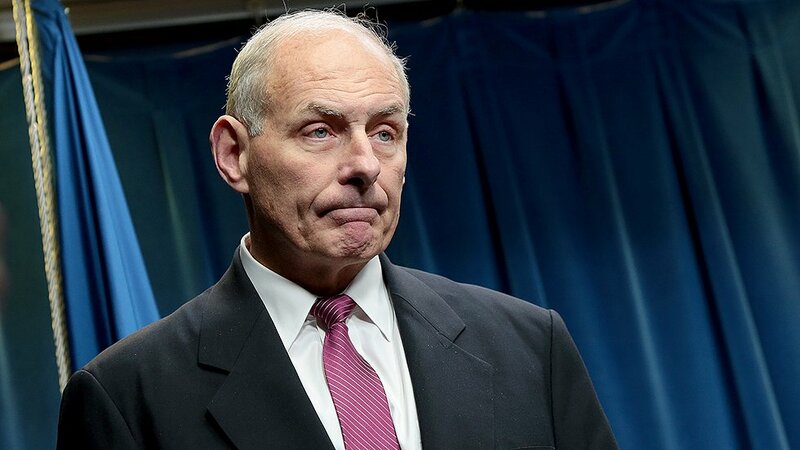 According to the New York Times, " Empty Barrel" Kelly offered his resignation to drumpf yesterday in response to the Rob Porter debacle. Reports also have drumpf communicating with Reince Priebus about Kelly's conduct. According to White House insiders, drumpf has been angry with Kelly since he overstepped his bounds in a congressional conference, negating Trump's Great Wall policy several weeks ago. Also Kelly's recent comments about DACA Latinos being lazy were widely criticized this week. Currently it looks like Kelly is dans lamerde. But in fairness, he knew what he was getting in to when he signed up for it. A sign of how Trump enjoys making Kelly twist in the wind: On Thursday, Trump made sure Kelly knew Trump was calling his predecessor Priebus for advice, sources briefed on conversation said. well if liberals and democrats want kelly out and somebody else in like...like...newt gingrich! that alright by me. maybe they will like kelly's replacement much better. I hope sarah palin is available. Is the son still in jail? Is Bristol pregnant again with yet another child outside of wedlock? 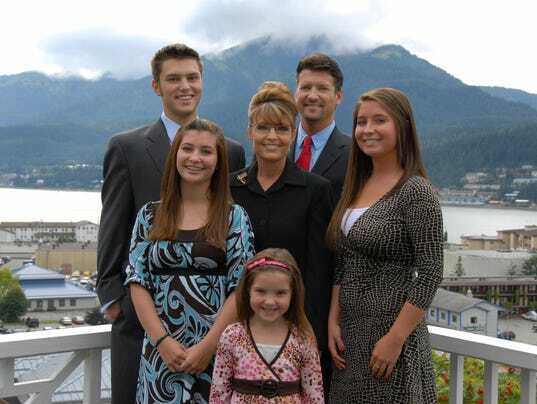 Have the kids been DNA tested to ensure they the Palins are really the parents? I don't think Sarah wants to have a background check. She might pass, but it would take a few years to complete. This is a very disturbing article. If in fact Rob Porter's interim security clearance expired on Jan 15 and John Kelly continued to let him handle highly classified information, then Kelly must resign. Also, giving someone classified info who is not cleared to see it is a crime. Kelly must go. He knew that Porter’s interim security clearance expired Jan 15 and that the FBI had a serious problem with Porter handling top secret material. John Kelly is once again a proven liar. This time by the Director of the FBI. You got to give Kelly some credit for this-- in a COVEN of White House LIARS, he stands out above the crowd. Chief of Staff John Kelly orders changes in the way background checks are handled at the White House. He wants FBI to flag problems w/ potential high-level hires within 48 hours. Also says the old standard in which domestic violence was not disqualifying should be "modernized."